14 Definitely want a Shoei? Shoei launched the NXR crash helmet in 2014 as a replacement for their much loved (and much-bought) XR1100. 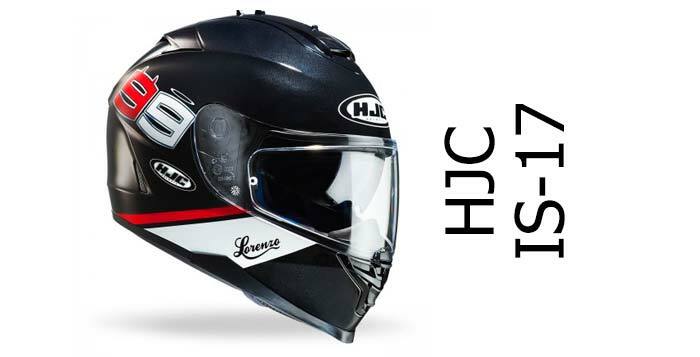 The XR1100 is one of our all time top scoring helmets, but was recently phased out although deals are still to be had at many retailers – check our Crash Helmet Deals section for the latest UK deals from around the web. So the NXR has a big reputation to live up to. The NXR is aimed at sportsbike riders, so expect it to work best when you’re tucked in a bit with your head down. Which is not to say it’s not right for sports tourers or anyone else who wants one – it’s wind-tunnel designed to reduce buffeting and noise – and it’s light and user friendly, so should work well for pretty well anyone, as long as your pockets are deep enough. Note the NXR is available as the Shoei RF-1200 mostly outside of Europe. The Shoei NXR has been ECE 22-05 approved for sale in the EU so has passed the minimum safety testing requirements. It hasn’t been SHARP reviewed at the time of writing though, so it’s impossible to say quite how it’ll perform in impact testing. 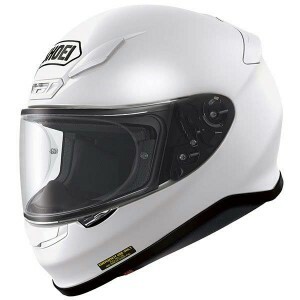 What we can say is that Shoei have a good reputation for build quality and the last time we looked at a range of Shoei helmets, they came sixth in our review of the safest crash helmet brands. The NXR’s predecessor, the XR-1100, scored 5/5 (top marks) in the SHARP test, so we expect the NXR to score well in terms of safety too. We’ll let you know as soon as the SHARP rating becomes available. 2015 UPDATE – the NXR has now been SHARP tested and scored a creditable 4/5 stars which means it’s right up there in terms of safety. The shell of the NXR is primarily a composite of various fibreglass layers topped with a thermoplastic layer to give a nice smooth finish. Shoei call this AIM or Advanced Integrated Matrix and it’s how they construct most, if not all, their fibreglass helmets these days. The NXR is actually AIM+ but the only explanation on the Shoei website (I kid you not!) is that AIM+ has an extra layer comprised of ‘special fibres’. 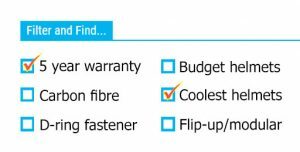 Oooooh – special fibres. They must be costly! There’s an interesting safety feature in the interior called the Shoei Emergency Quick Release System. If you have an accident, it’s quite easy to worsen injuries when removing a helmet. You know how much of a tug it can be when you’re doing it yourself stood up in the comfort of your own garage. Well, if you’re unfortunate to be contorted and unconscious, it can be much worse – especially when an untrained medic is trying to do it. The quick release system helps removal of the helmet by pulling a couple of tabs under the helmet to remove the cheek pads before the helmet’s removed. That should allow the helmet to slip off much easier and thereby avoid aggravating any injuries. Of course it needs the emergency services to be aware such a mechanism exists in the first place – however it’s a good and well thought out innovation that we welcome. Shoei have wind-tunnel tested their helmets for some time now and you can see that with the NXR they’ve gone to lengths to give it a slippery profile. It’s always going to be necessary to have some bits on a helmet stick up a little so your gloved hand can get hold of things like visors and vents to open them. But Shoei have made everything else aerodynamic. Gone are unnecessary spoilers and indents. The NXR looks uncluttered because any clutter causes turbulence and turbulence causes noise. They’ve also thickened up the padding on the side of the helmet and cheek guards to try and insulate us from the noise. And does it work? Why yes it does. 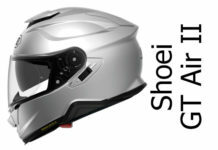 Quietness is one of the most mentioned features on forums and in reviews around the web so Shoei have got that right. 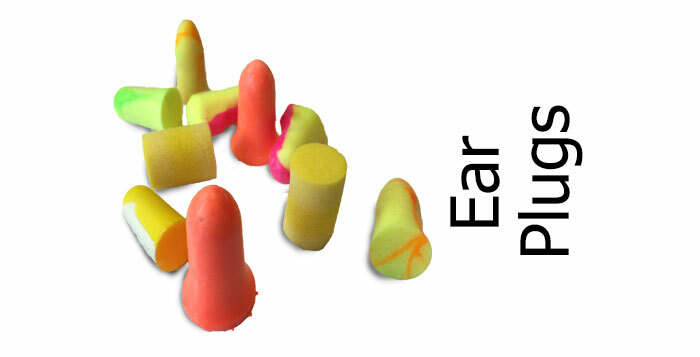 Having said that, don’t for a minute expect to be able to ride for hours without plugs – and be able to hear anything for the next day or two. It’s not that quiet! There’s one other thing owners are amazed at. The size of the helmet. Almost as one, they say it’s smaller than any helmet they’ve had; meaning that for any given helmet size, the shell size seems smaller. If you read Shoei’s bumf, they say they’ve worked hard on reducing the shell size by a ‘redesigned shell baseline on both sides’. Not really sure quite what they mean by that, but it seems to have worked. The shell itself is produced in four sizes – which is probably the most individual shell sizes produced for any helmet we’ve come across. That’s good for looks and arguably good for safety. Good work Shoei. The NXR helmet is available in sizes XS-XXL. The NXR has one chin vent and three forehead vents along with one rear exhaust vent cunningly hidden underneath the rear spoiler. All vents can be closed/opened and are not massively fiddly to work with gloved hands – except for the rear exhaust, though it’s unlikely you’d ever want to fiddle with that when riding along. The front chin vent is the easiest to open as the whole cover simply moves downwards to open, with a single position in between open and closed. It’s very effective and nicely directs air up across the visor. The forehead vents work well too though the smaller lever on the central vent can be a bit more fiddly to use. These forehead vents direct air through the polystyrene lining (which manufacturers like to call EPS because it sounds more technical than plain ole polystyrene, the stuff your take away trays are made of, but it’s more or less the same thing!) and there are several channels that direct the air onto your scalp then pull the now stinky air off and out of the exhaust vent. It works well in keeping folks cool in hotter regions – though not as well as the Shoei GT Air according to those lucky enough to own both – but is very good nontheless. In colder regions you can, of course, close off the vents as required, but it does pull in enough air to effectively de-mist the visor. So all good here. If a helmet with great ventilation is your thing, don’t forget to check out all our helmet reviews only featuring helmets with fantastic ventilation. There’s probably not much more important on a helmet than the visor. Good, clear forward vision; wide peripheral vision; good ventilation to keep it clear, probably with an anti-fog; easy to open and close with a good seal; and easy removal when you need to change it or clean it. These are a few of my favourite things. Well we’re happy to report – or rather owners are happy to report – that the Shoei NXR has all these bases covered. Shoei says (in very dodgy English) on its website that they’ve totally redesigned the visor baseplate and associated gubbins. And generally most of us would probably shrug and say something along the lines of ‘so f***** what?’ And rightly so. But what it actually means in practice is that the seal on the visor is very good, and if it’s not, we can all become helmet technicians and adjust it ourselves because the NXRs all-new visor baseplate has a little wheel you can twiddle to adjust the visor seal front an rear. To be honest, a good old plain tight fit is all I need, and Shoei have never suffered there, so it’s possibly a bit overkill. However, it’s kind of gratifying to know that if the seal isn’t right, we can make it right. I suppose. Shoei NXR Isomorph. Nice design – and at least your 10 year old will love the name. Other than that, the visor is very thick and alters thickness to keep vision clear for the user. This is becoming more common practice, especially against some of the more premium brands – using different thicknesses of plastic to stop distortion of vision around the peripheries – and apparently it works, with users reckoning it’s noticeably clearer than helmets they’ve worn before. Onto fogging and ventilation. Well, we’ve mentioned that the ventilation to the visor is very good. But it’s also supplemented by a Pinlock anti-fog insert, supplied out of the box. If you live in the UK, an antifog insert or spray is a must for Autumn/Winter riding so that’s a welcome inclusion. A Transitions photochromic visor is also available for the NXR. Photochromic, or light-adjusting visors, work well and are a great alternative when there’s no drop-down sun visor available. And finally on the visor, the removal system needs a mention. I’ve always been a fan of the quick release system on Shoei’s and the NXR is the usual fayre – just pull a couple of lugs either side and the visor pops out. Repeat and it’ll snap back in. This is a must if you do lots of riding to help you clean the visor between rides – and is nice and simple on the Shoei. 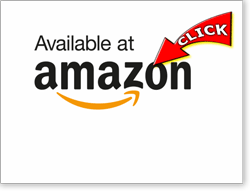 And finally finally, usability. The visor seals nicely, is easy to open thanks to its slightly off-centre opening tab at the bottom of the visor and has lots of positions on the ratchet to open it anything from the merest crack to wide open – and the visor will stay where its put. 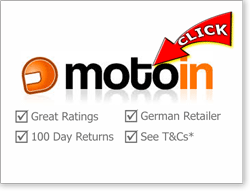 Good work – nice and simple and effective. The NXR scores well for comfort too with typical comments from owners being it’s so light they almost forgot it’s there and the interior being so plush and well fitting it feels like a helmet should do. Of course, it goes without saying that you have to get the right fit and right size in the first place but if you do, then the Shoei NXR feels right and is very comfortable. It almost goes without saying that the interior is fully removable and washable these days – but the NXR also uses a couple of different materials internally for comfort and sweat absorption/wicking. 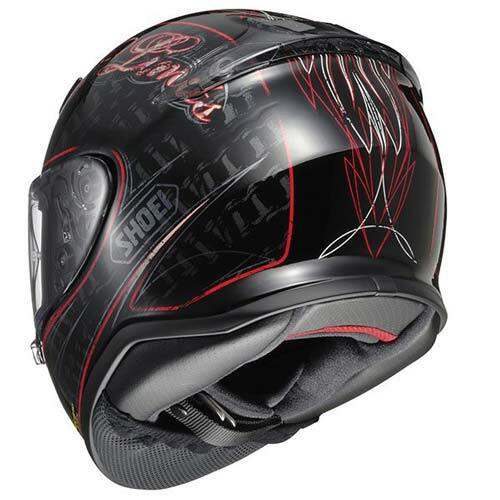 It also has double-density EPS (polystyrene) shock absorbing layer inside the helmet shell. That’s pretty commonplace in most helmets these days and sounds a little low-tech, but it’s about as effective as shock absorbers come (probably comparable to still seeing bundles of car tyres still adorning F1 circuits). So all’s good here. Looks are very subjective, but I think it’s fair to say the Shoei NXR is a pretty understated crash helmet. To be honest, most Shoei’s are. The only real hint of modernity is probably how it’s slightly sleeker to reduce buffeting and noise by tucking in all its vents and spoilers. For 2014 there are a dozen or so colour schemes and we’ve dropped some of the most notable throughout the review. At least, they’re the ones we liked the most! For another point of view on the NXR, here’s a vid from those nice people at the Two Wheel Centre (I say nice. Never met em). Take it away Abi.. The Shoei NXR has double d-ring fastener which means it’ll be fine for track use, as long as yours has the ACU gold sticker on it (check with the retailer as it’s up to the distributor to stick it on). There are limited reports of glasses use but so far so good – even though padding at the side of the helmet has been increased, people report that there’s enough room to slide your glasses in and they’re comfortable once they’re in there. The Shoei NXR is a very competent helmet. It’s typical Shoei – well built with quality materials that make you know you’ve got a top-notch, premium helmet. 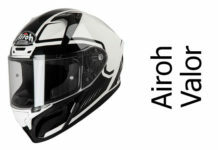 It also performs well in terms of safety – and it’s comfortable and quiet and all the bits you want to work well like visor, vents and internals work very well too. The only place it might come up short a bit is on value for money, but then quality doesn’t come cheap – and if price isn’t really a problem for you, we’re pretty sure you’ll have a massive grin on your face riding round in your new Shoei NXR. 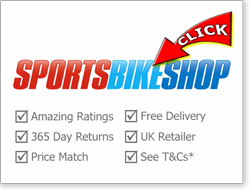 For other helmet reviews check out either our Crash Helmet Reviews or SHARP 4 & 5 Star Crash Helmet reviews sections! Or indeed click a feature name in the panel top right to see helmets that score particularly highly for the feature. 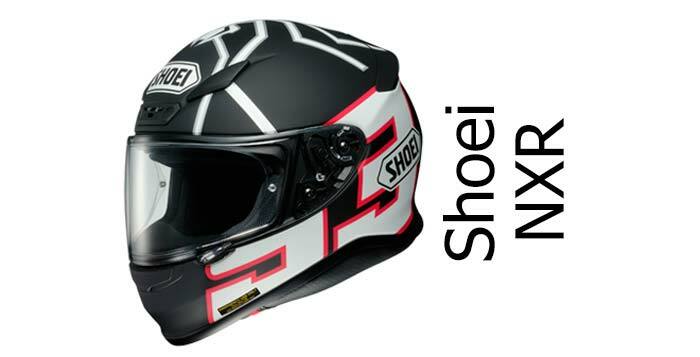 And, as always, if you have experience of the Shoei NXR, please add your thoughts in the comments section below – cheers! 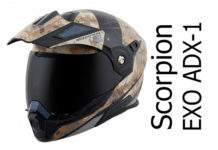 A great helmet that performs in pretty well every area. It's comfortable, well-built, and quiet and scored a sound 4/5 in the SHARP safety test, meaning the NXR is right up there in our top crash helmets list. The only downside is it's a little expensive. Having spent many loyal years with Schuberth helmets. Also having survived a truck going over my head wearing a schuberth c3. That resulted in my on going loyalty but I felt after many years that I needed to try a new lid because I was suffering with significant neck ache after buying a new Ducati. Not so much to blame is the helmet but a more guilty windscreen on the ducati. So I started looking around. I initially fancied the GT Air because I like the internal sunvisor in a premium helmet. When I tried the NXR I was sold. But the true test was to ride the ducati at my normal pace . Well I found it light and with good aerodynamics with no neck ache after 100 miles. So my main objective was satisfied, however the accoustics were poorer than what I had expected. Seems to have a bit more wind noise than other helmets I have used. 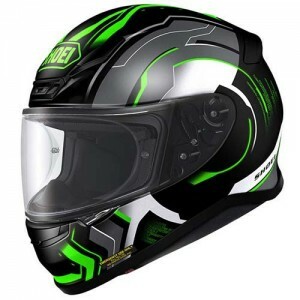 It is pushed as being a track or sports helmet so if wind noise is a great concern then go for a touring helmet and that is what the GT Air is for. Wind noise is not a concern to me because I have loud exhausts which enjoy hearing and also have music on the headphones while riding. Bought a Shoei NXR after looking for a good helmet. Previous helmet was a Shark RSF2 race pro (foggy legend edition). I was disappointed at the amount of wind noise that the helmet has. For its age and amount of wear the shark is still quieter than the NXR. 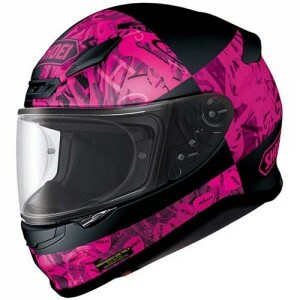 I have just bought the Shoei NXR after having an Arai astro superlite for 7 years. I am realy disappointed – its a great fir but the noise is so much more than my old helmet. Wish I had read the blogs first!